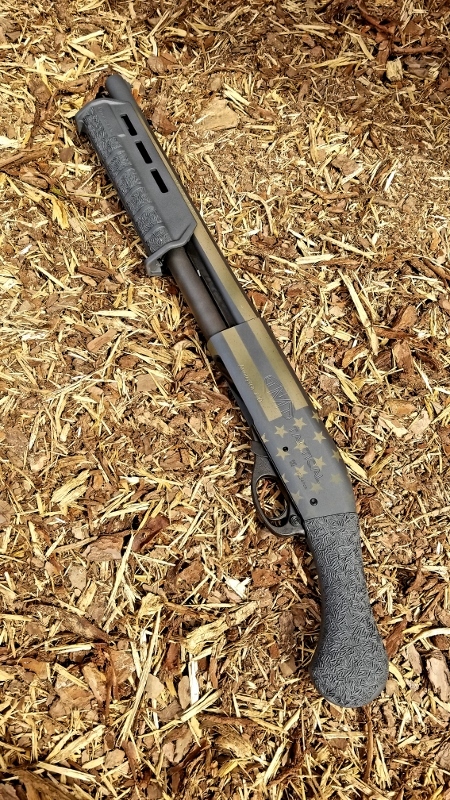 Choose from one of our custom packages or customize your own shotgun. 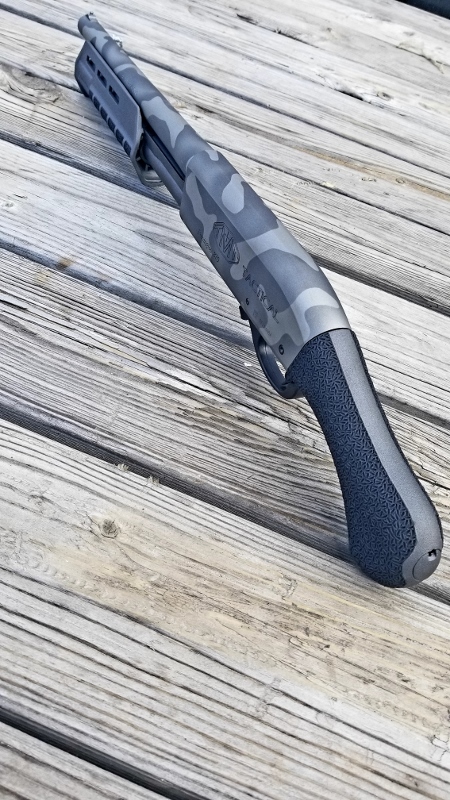 Stipple the grip and forearm. 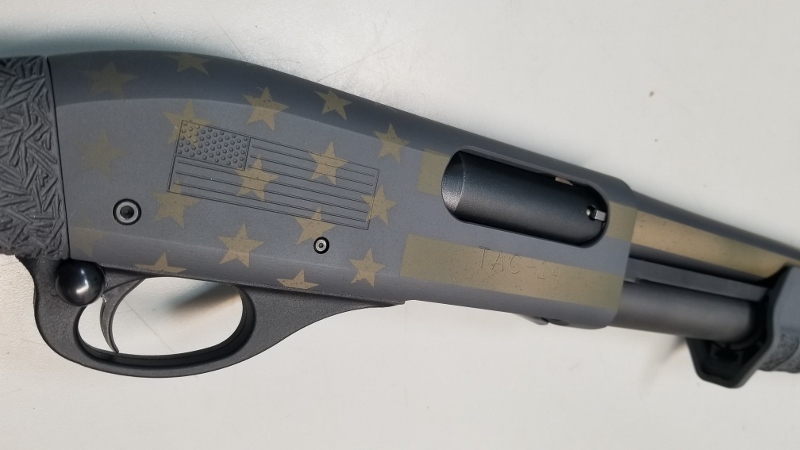 Engrave the U.S. flag, TMT logo, and Tac-14 or Shockwave. 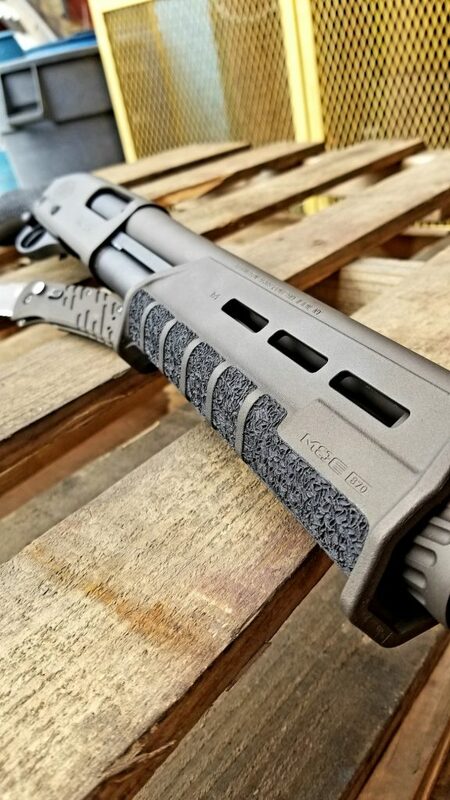 Cerakote single color or fade in your choice of colors. 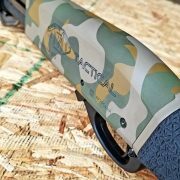 Upgrade Safety, Extractor, and Follower. 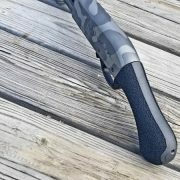 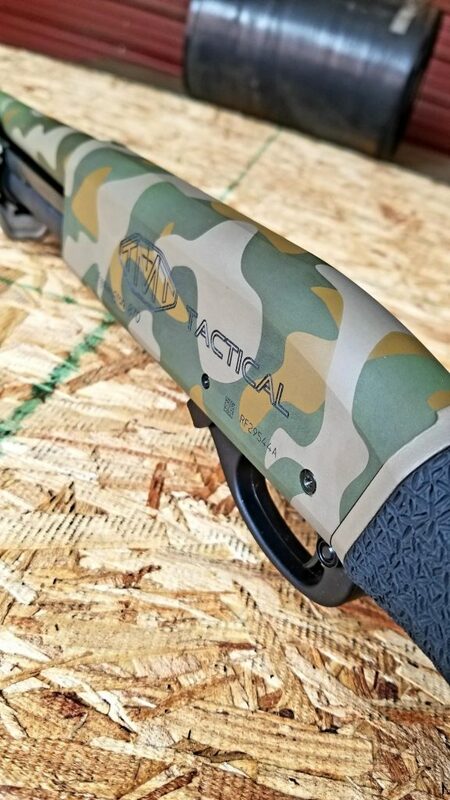 You get to choose the style of stippling and Cerakote colors. 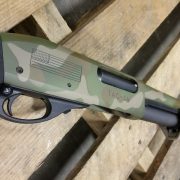 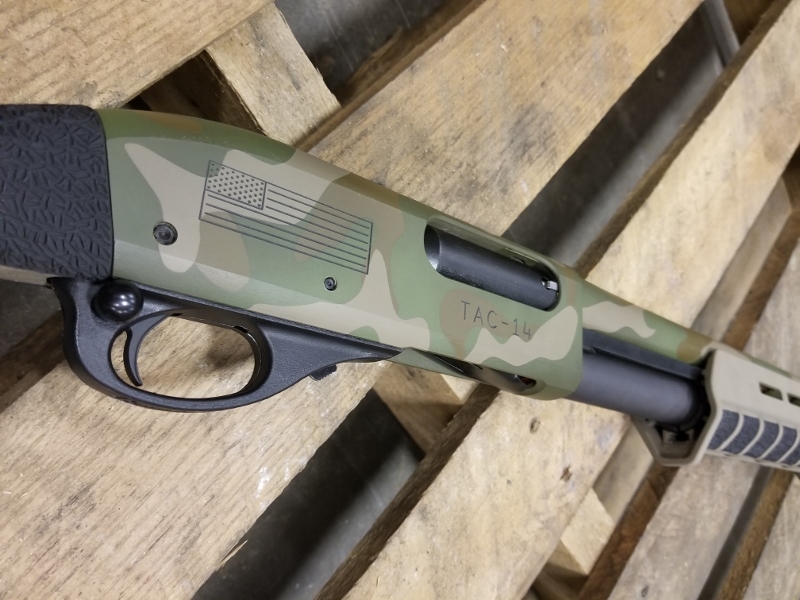 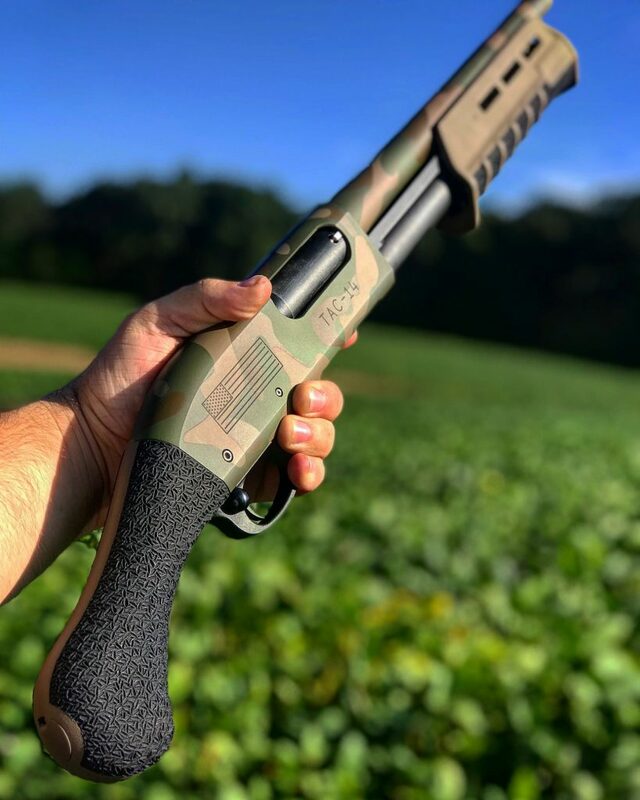 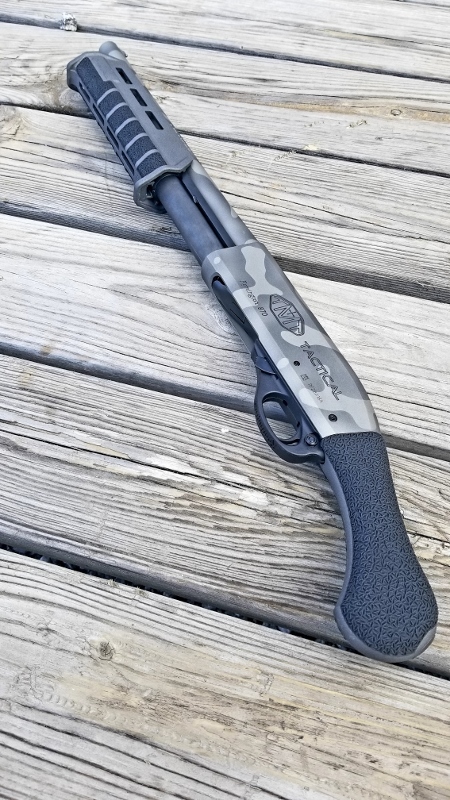 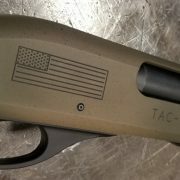 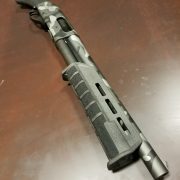 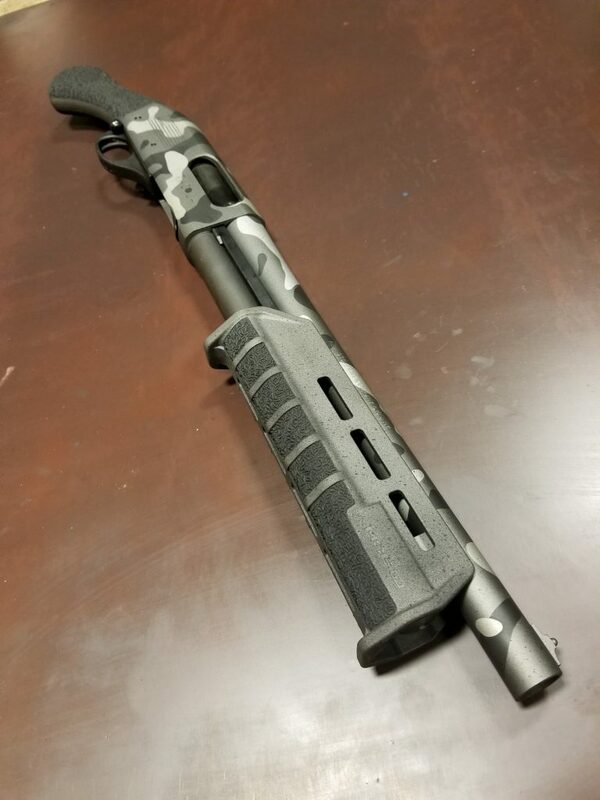 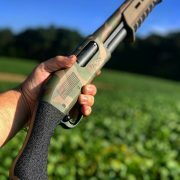 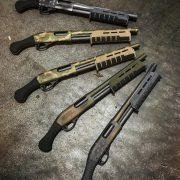 We provide your choice of the Remington Tac-14 or Mossberg Shockwave shotgun, apply the Full Mod Pack and ship it to your local gun dealer for you to pick up. 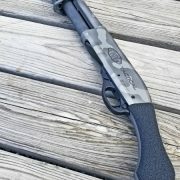 Why not make your shotgun truly unique? 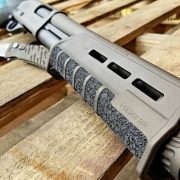 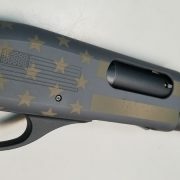 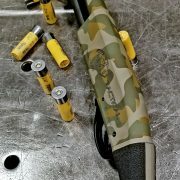 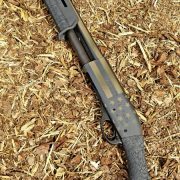 You pick only the features you want to be applied to your custom shotgun. 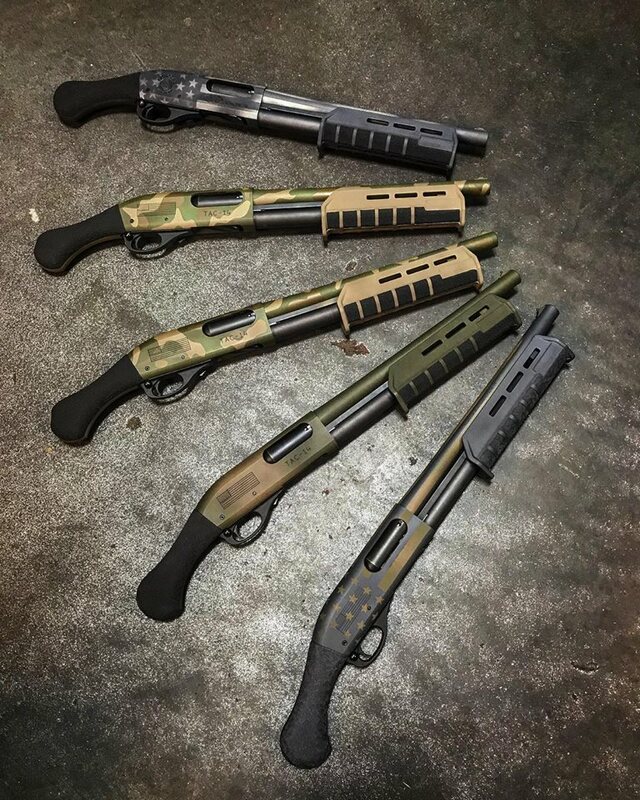 Whatever your choice, we guarantee you'll love your customized shotgun.